I only attempted the trapeze once, but was changed by it. How could something that looked so complicated when performed on film by Burt Lancaster, Tony Curtis and Gina Lollobrigida come down to the basic ability of the hands to grip a bar? Simple really, but an example of an upending of the assumptions we all carry about human activities and the objects used to carry them out. 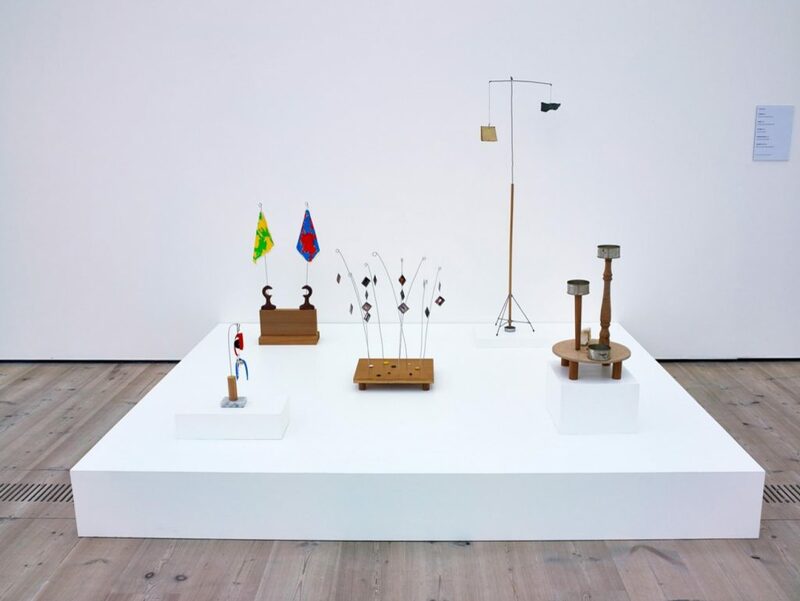 At BALTIC, B. Wurtz, balances, suspends and stacks everyday items to create sculptures that both expose and rework their components’ original uses (‘re’ being the operative prefix, with reuse and regeneration being inescapable thoughts). The sixty works in Wurtz’s show leads us on an exploration into our relationship with objects – at a human and a miniature scale. 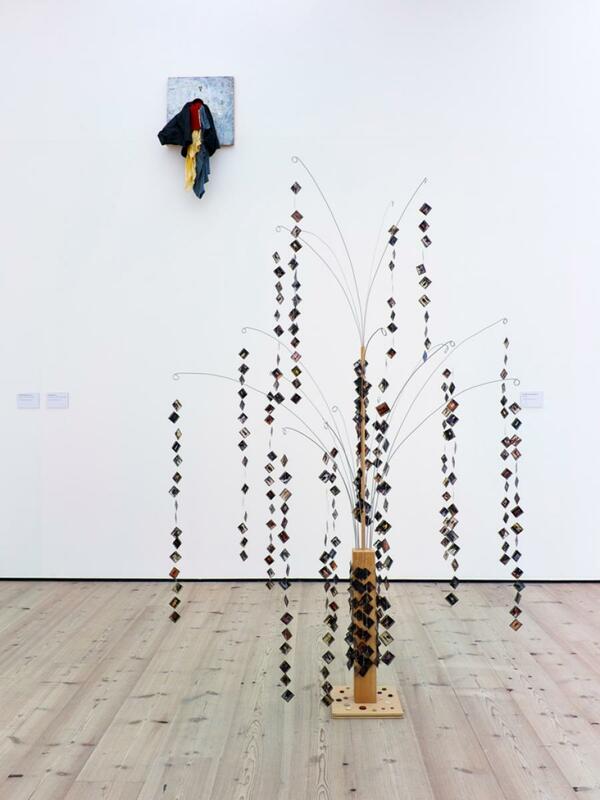 The works relate to what the artist outlines as three basic necessities for happiness (food, shelter and clothing) and yet in doing so, leave the viewer asking questions about the power and inventiveness of human creativity. The large gallery is peopled with steamrollered trapeze artists (plastic carrier bags pegged and stitched on dowels), small, rampant figures holding flags (curtain pole brackets with printed hankies wired to them) and ruined cities (toy buildings sets and scraps of wood). Just what does that pile of pierced plastic boxes that contains chunks of printed wood remind me of? Animal cages at the circus? The old within the new? My Dad’s bait box? Despite the small size and humble materials of many of the works, the confident intention behind them ensures they hold their own in the space, giving nudges to sculptural history and formal conventions; Prototype for Sock Multiple, 1993, manages to be both Brancusi’s The Bird and Bartholdi’s Statue of Liberty. In an exhibition that holds so many gems of irony (the positive, humorous type that helps most people negotiate their world), it is difficult to highlight works for particular praise, but the far gallery space is a joy. With walls painted pale grey/blue, a large collection of aluminium roasting tins and take-away cartons hang. Their bases face the viewer, rendering them strange, and the artist has painted these and picked out their written instructions (now backwards) in colour. They are sculpture-paintings, thing-objects, amazing in their similarity and variety. It is difficult to look away from them, but worth it, as the films showing opposite are another jewel. 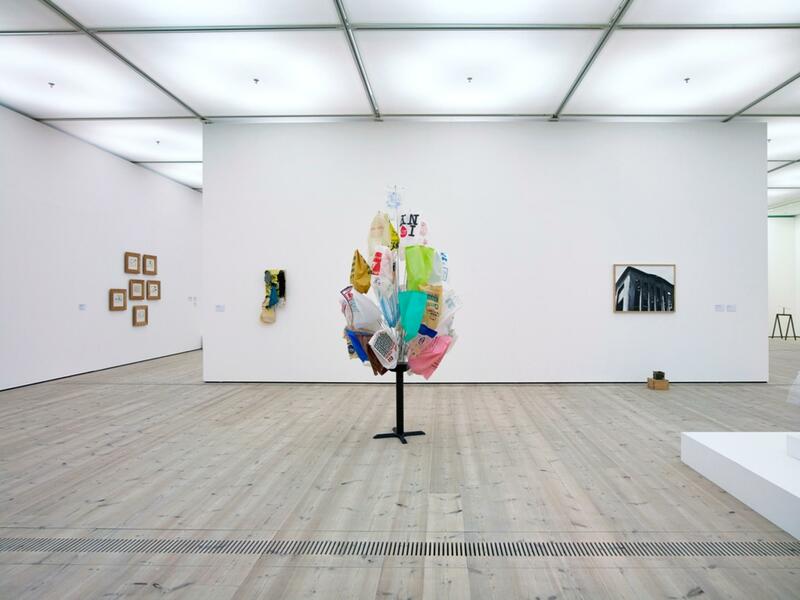 In them, Wurtz can be seen surrounded by objects, people and pets, their hierarchies playfully disturbed. Even the titles from Wurtz’s career, spanning over forty years, show his engagement with ‘ordinariness’ and contemporary life, ranging from the descriptive, Untitled (bright green canvas) 1995, to the pertinent, Monument to Politics 1984 and Who Is Rich And Who Is Poor, (1985), to the personal, The Aftereffects of My Lunch, (1972), and the instructive, Look At Yourself, (1990). This is a rare sort of show, one that made me laugh out loud on entering the gallery and yet one that will stay with me as I make my way through a life with objects.